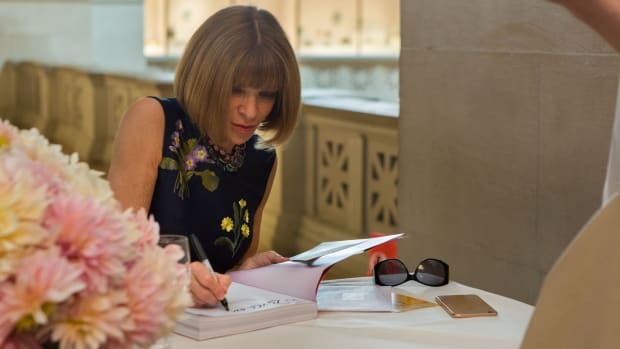 Are we entering Anna Wintour's goth phase? Not to be outdone by the Museum of Modern Art&apos;s upcoming Björk exhibit, the Metropolitan Museum of Art&apos;s Anna Wintour Costume Center is following up spring&apos;s "Charles James: Beyond Fashion" with something rather dramatic for fall: "Death Becomes Her: A Century of Mourning Attire." That&apos;s right, James&apos; pastel pretty gowns will be be followed up with some very elegant, very Tim Burton movie-worthy funerary dresses. This will be the first fall presentation from the Institute in seven years (its last was blog.mode: addressing fashion in 2007) and feature about 30 mourning outfits from 1815 to 1915, including some worn by Queen Victoria and Queen Alexandra. The garments will be accompanied by photographs and daguerrotypes from the period of–you guessed it–bereavement ceremonies. 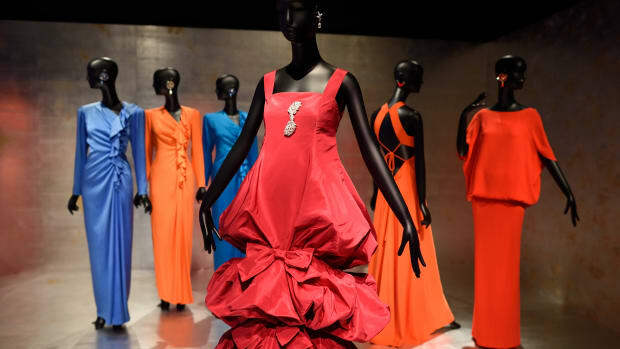 Don&apos;t let the theme get you down–the announcement of the exhibit just so happens to come on the same day that the Victoria and Albert Museum in London opens an exhibition of wedding dresses. Fashion: Live in it, love in it, mourn in it and, yeah, die in it too. Such is the life of a true fashion icon. "Death Becomes Her: A Century of Mourning Attire" will be on view at the Metropolitan Musuem of Art in New York from Oct. 21, 2014 to Feb. 1, 2015. 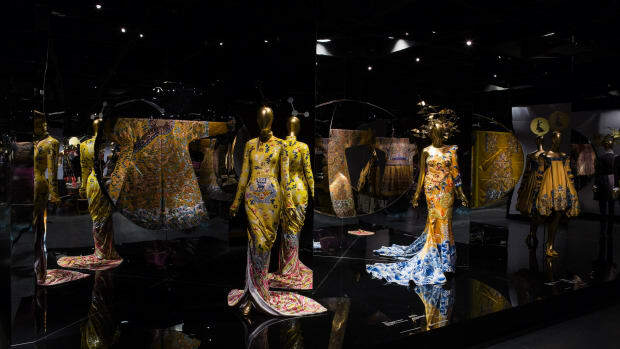 With only a few days left before the record breaking exhibit "China: Through the Looking Glass" closes on Monday, the 'Vogue' editor joined Costume Institute Curator Andrew Bolton for a book signing at the museum. The record-breaking exhibit closed Labor Day weekend with a final tally of 815,992 visitors.